with holiness, wisdom, and joy." Renew your faith by going on a pilgrimage to Medjugorje in Bosnia and Herzegovina. 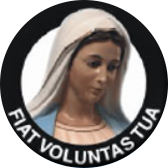 Fiat Voluntas Tua runs nine-day retreats to this world-famous religious destination. We run our pilgrimages year-round. We can also arrange custom trips at a time of your choosing. Best of all, we sponsor one priest to attend each pilgrimage of 20 or more pilgrims for free. Mirjana Soldo, one of the six original children who saw the Virgin Mary in 1981, will be your hostess during the pilgrimage. You'll get the chance to meet her, ask questions about her experience, and take pictures. Mirjana fills every pilgrimage with holiness, wisdom, and joy. At this time The Blessed Mother continues to appear to Mirjana on the 2nd of every month — so if you book a tour at the right time, you'll get the opportunity to be present during this monthly apparition! You'll be in excellent hands throughout your trip. Miki Musa will be the tour guide to lead your pilgrimage. Miki is a very spiritual, honest, and holy person who works hard to ensure everyone has a wonderful experience as they visit Medjugorje. *Note: All travelers must fax a copy of your passport to our office. Please call for flight pricing from your nearest airport. *Note: Dates are subject to change. Groups also have the option of booking custom dates. English Mass — 10:00 a.m. Lunch — 1:00 p.m. – 3:00 p.m.
Evening Program of Rosary, Mass & Prayers** — 5:00 p.m. – 8:00 p.m.
*Note: The times above are subject to change, please be flexible. Please be flexible! Blessed Mother is in charge. **Note: Rosary and prayers are international. Mass is said in Croatian. You'll need an FM radio to listen to the translation. Restaurants — Pizza, hamburgers, and other food is available in the local area. The food is good but may be different from what you are used to. Most restaurants take American dollars, and staff speaks some English. Taxis — A taxi ride costs around $7.00 one-way to the church or anywhere else in Medjugorje. You can share a taxi with up to three other people. Airfare — Once tickets have been issued, they cannot be canceled without penalty, as specified in the ticketing agreement with the carrier/issuing agent. Land Costs — You will receive a full refund, less a $100 cancellation fee if you cancel at least 31 days prior to departure. If you cancel 30 days or fewer prior to departure, you will not receive a refund.